If you’re new to teaching, or just new to Facebook, one thing you should definitely do before you step foot in the classroom is check your Facebook privacy settings. Students love to have the inside scoop on their teachers. You can be sure they’ll be checking out your online profiles, as soon as they’ve figured out your first name. Want to connect with your students in and out of the classroom? 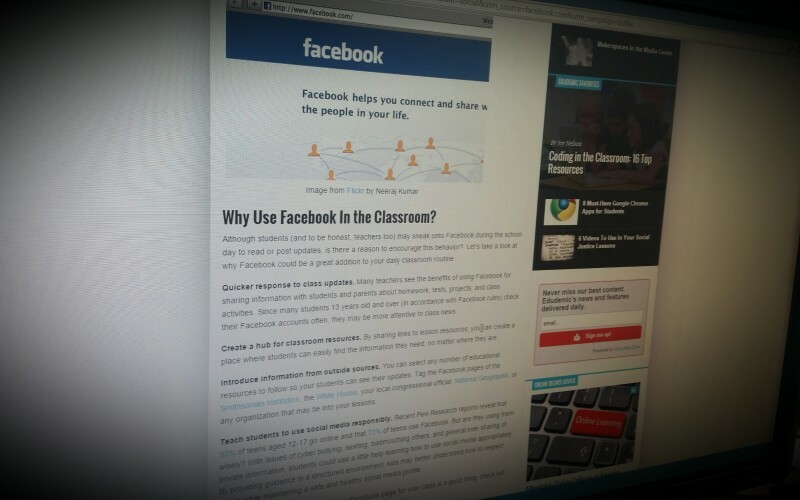 Consider bringing Facebook into your class as a collaborative tool. We all know that most kids, or at least those in the pre-teen and up category, are locked into many forms of social media. Instead of fighting it, why not meet them where they are, and use the benefits of Facebook to communicate and increase involvement? This guide has been developed for professionals who work with young people to help them understand what constitutes abusive behaviour online, the consequences of that behaviour, and where they can get help. The guide applies to professionals working in England and Wales.